A Piece of Thatcher Comic History! Well, I’ve barely begun my search and look at this comic rendition of Margaret Thatcher. The artist is sophisticated, from my point of view: he/she artfully portrays Thatcher in a position of victory with her arms raised, as this narrator, whose ideas are at odds with conservatism, has his own arms lowered in his captive defeat. 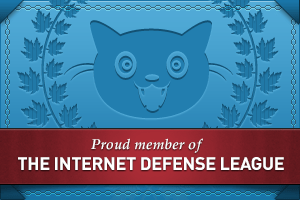 Wow, Bleeding Cool had the same idea as me, and they did it better. I want a job doing that. 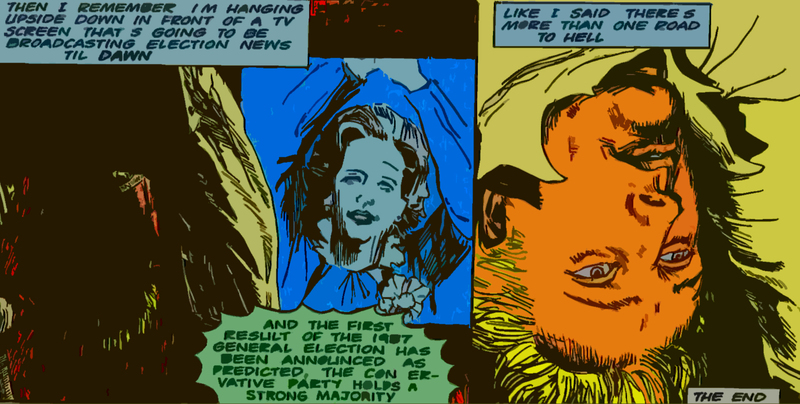 (Oh, and this comic scene is supposedly from Hellblazer #3 by Jamie Delano and John Ridgeway, (“John Constantine tortured upside down by free market demons, watching the third election of Margaret Thatcher’).